There are two stages in Precast Concreting, first stage is the Production of Precast Concrete elements and the second stage is Errection of these Products in the site. 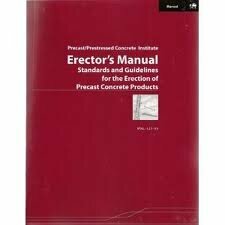 In this article I am going to discus the various errection procedures of Precast Concrete Products. Erection Procedure of Cladding Panels. Erection Procedure of Hollow Core Slabs. Erection Procedure of Boundary Wall Foundations. Erection Procedure of Boundary Wall Columns. Erection Procedure of Boundary Wall Panels. The Precast columns will be delivered to job site on a flatbed trailer only after the site is ready for installation of the same. When the trailer reaches the site the columns could either be offloaded from the trailer and stacked at site or columns can be lifted directly from the trailer and placed into its final position. Stacking of the columns will be only on hard standing and leveled surface with proper wooden supports. For the lifting work the equipment are placed in such a manner that the task can perform with maximum Efficiency in a safer mode. Make sure that the crane stand on a solid base. Lifting loops are inserted firmly in the socket provided on the top of the column by threading to be connected to crane hook and the column should be in its plumb position. The boom of the crane can be swung gradually. Finally, the column is on steel leveling shim pads and then will be braced by push pull props in almost two perpendicular directions. The crane will then be released and column will be finally aligned. Plump will be used to confirm the column vertically. On confirming the alignment the column will be fixed at the base as per the connection detail. Same procedure will be followed to erect the remaining columns. It is recommended to erect the maximum number of columns from one position. The column’s bracing can be only removed after the columns laterals support by beams. Beam erection will start after column erection, along grid lines. After fixing the columns, the site in-charge Engineer or Supervisor will prepare the beam’s delivery request as per the progress at site. The beams will be delivered to the job site on flat bed trailers and then it will be lifted from its lifting points and placed over the leveling pads placed on the columns corbels. Probing of beams will be done (if required) according to design recommendation. Up to the second level, the erection crew will use ladder for erection and related activities. Panels are lifted directly from the “A “framed trailers and placed to its position wherever possible. However depending on the position they are transported on, site condition and/or sequence of erection, sometimes it shall be off-loaded from the trailer for tilting or stacking at site using panel racks. (A solid & leveled area shall be provided by main contractor for storing the panels if required). After placing the panels into its position it should be supported using temporary bracing or push props, anchored to CIP slabs. If there is any dowel pocket connections care should be taken to see that the dowels are penetrated into the pocket & the pockets are free from dust or any deleterious materials. (Wooden, Styrofoam, grease etc.). Leveling shims are used at the bottom of panels as mentioned earlier to attain the required top levels for the panels. Temporary bracing should not be removed till the completion of horizontal & vertical connections as mentioned in the connection detail drawings. (I.e. welding, grouting, and fixing what so ever). These bracing can even be used for minor adjustments during alignment operation. For hanging & fixing the insulated panels (if any), special attention should be given to see that external part (or outer skin) should not be loaded. It should be free in order to accommodate the movements induced by the thermal effect (i.e. thermal expansions). The top level of existing beams will be checked for uniformity & accordingly the PVC leveling shims are allocated at required location. The slabs are lifted from the trailer using special type of lifting clamp to install on its final position. Lifting belt can be used in erection and offloading the hollow core slabs. The Hollow Core Slabs could be stacked on flat and firm ground with proper timber battens as support. After installation, the slabs will be aligned from the bottom face using aluminum tube and hydraulic jack. Electrical and mechanical utilities (if required) will be implemented above Hollow Core Slabs through blackouts shown on the shop drawings. It is not allowed to make new opening not shown on the shop drawings or enlarge existing opening without consulting the producer and getting the required approval. Finally the slabs will be grouted with the concrete grout mix after implanting the required rebar and loop bars according to standard connection detail between the Hollow Core Slabs and it supporting elements. The precast foundation is delivered to job site on flatbed trailer, the foundation will then be stored over the ground almost close to its required location or it will be directly placed over the blinding concrete, this operation mainly depends on the number of loads available at that time. Regardless, the foundation will finally be placed over the blinding conc. as it has been explained above, two perpendicular axes will be marked on the blinding concrete, and the same axes will be marked on the top surface of the foundation. The foundation will then be pushed here and there till the axes on the blinding matching the axes on the foundation. P.V.C shim pads will be placed inside the foundation to the required elevation of the column base level. Another imaginary perpendicular two lines will be marked on the top surface of the foundation which will show the column surfaces. Columns will be delivered to the job site on flat bed trailers, and then it will be lifted by the crane from its lifting point and placed into the foundation over leveled P.V.C shim pads and controlled by side shim pads at the column base. The column will be hanged by the crane till the verticality of the column checked by spirit level and location of the column is confirmed. Wooden wedges will be placed and pushed strongly by hammer in between the columns surface and the inner surface of the footing at the top, hammering of these wedges will stop when the column comes to its final position, it can be checked again vertically, the crane will be released when the column final position is o.k. ; this procedure will be continued for all the columns. 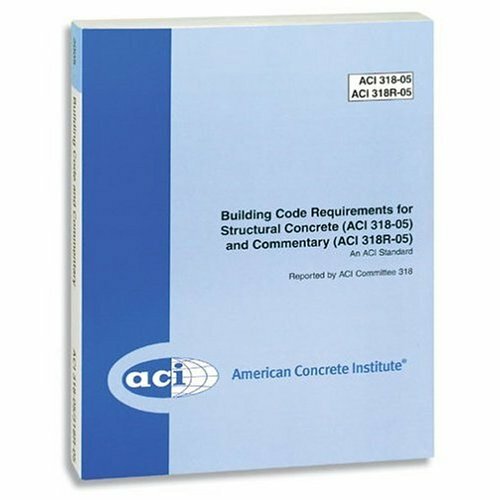 The Concrete Constituent (aggregate, sand, cement and water) along with the Concrete mix will be available at job site when its required to produce a grout mix according to the proposed mix design. The footing will be cleaned properly by air blower or any other suitable facility. The prepared grout mix will be placed into the footing and compacted well; the grout mix at first stage will reach up to the bottom of wooden wedge. After one day the wooden wedges has to be removed to allow for the second stage of grout. The Second stage grout will come over the cleaned first stage and will be in level with the top level of footing. For each stage, curing has to be done with water. Panels will be delivered to job site on “A” - framed trailer. At the site panels will be lifted from the trailers and placed directly to its position in-between the columns. Make sure that the panels are rested on the column slots to its required level. Shim pads will be placed gently between surfaces of the columns slot and surface of the panel to keep it in vertical position and to control its movement. This procedure will be followed for all the panels. Special Erection procedure will be done separately depending on the case of the elements and its final erection position.